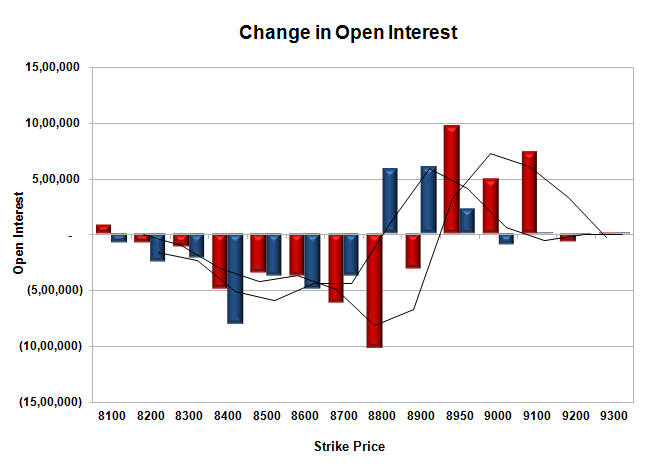 The index opened flat to negative, but gathered strength to move up to the highs of the day just below 9000. 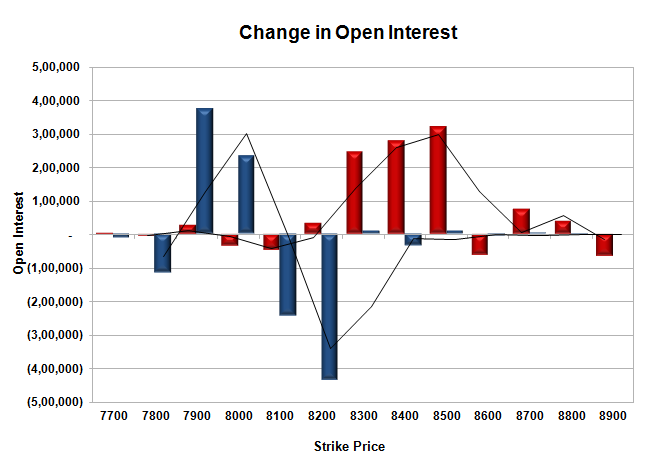 Selling at higher levels saw the index close flat at 8914.30, small gain of 3.80 points. 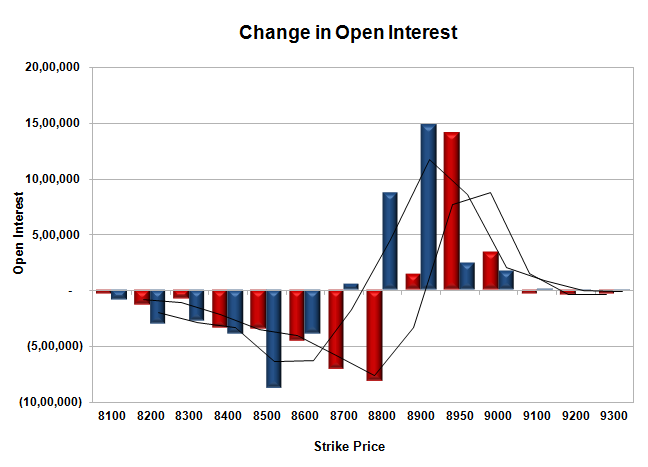 The broader market was negative, with 551 advances to 985 declines. 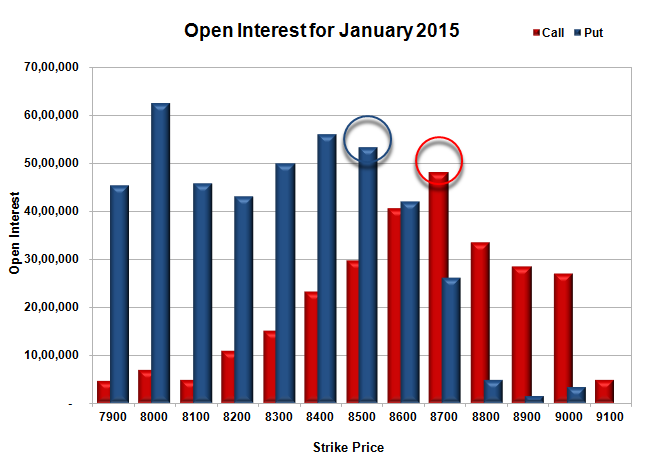 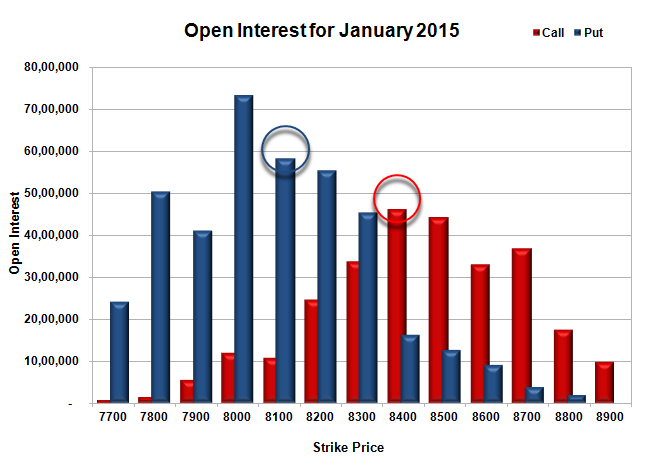 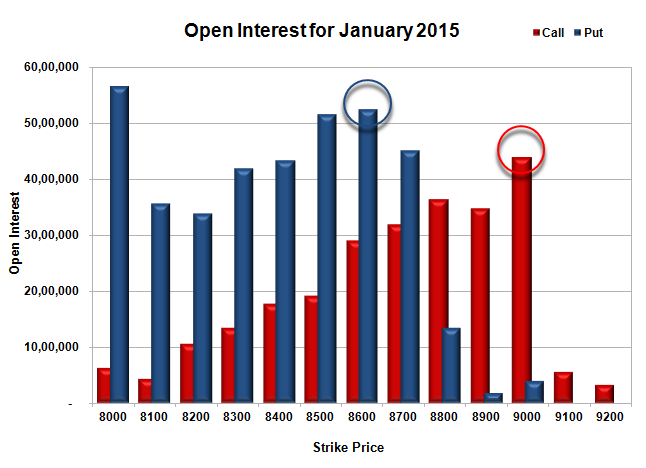 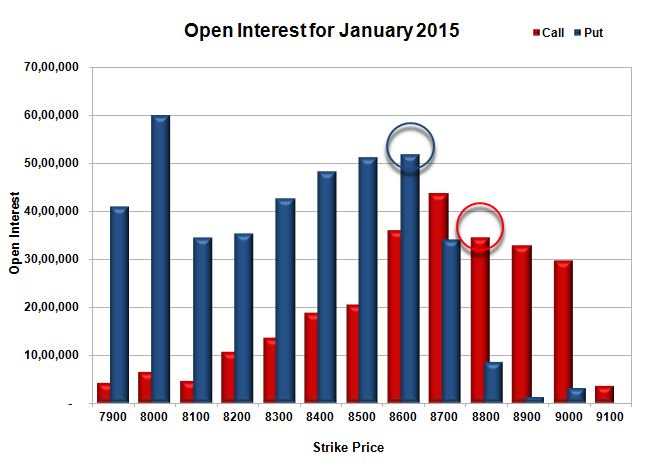 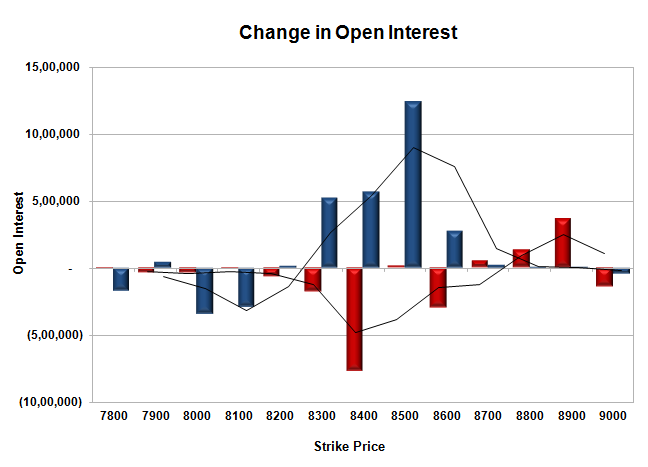 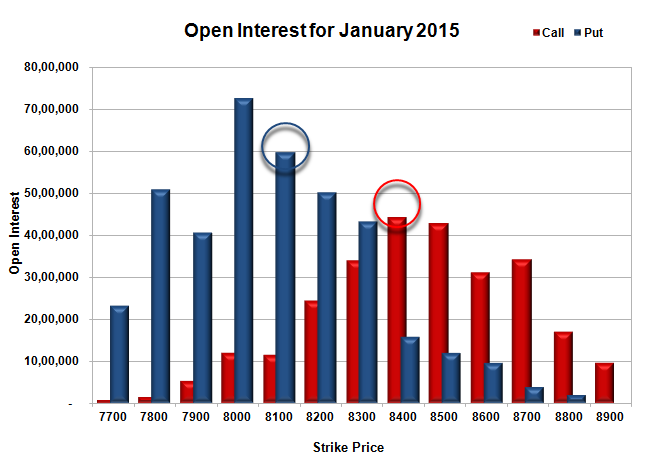 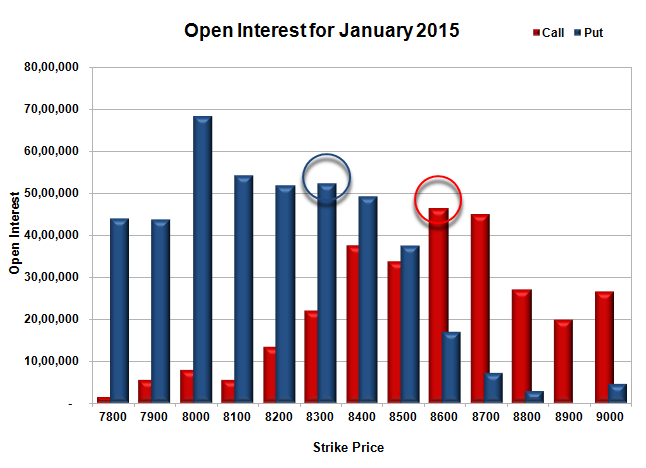 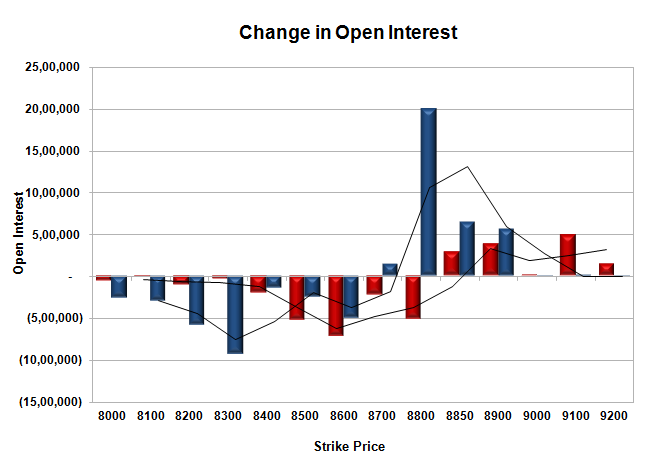 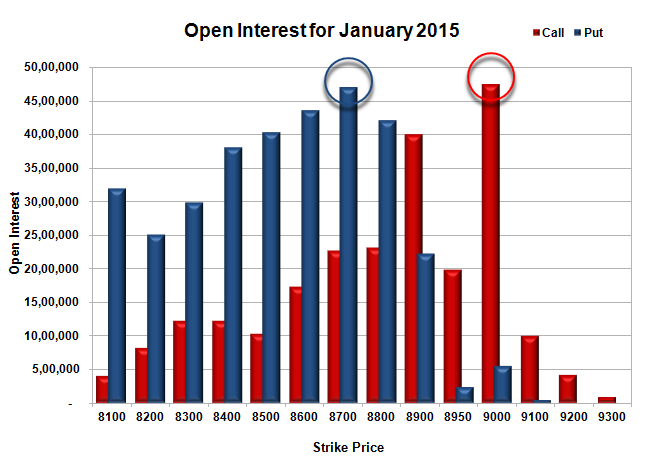 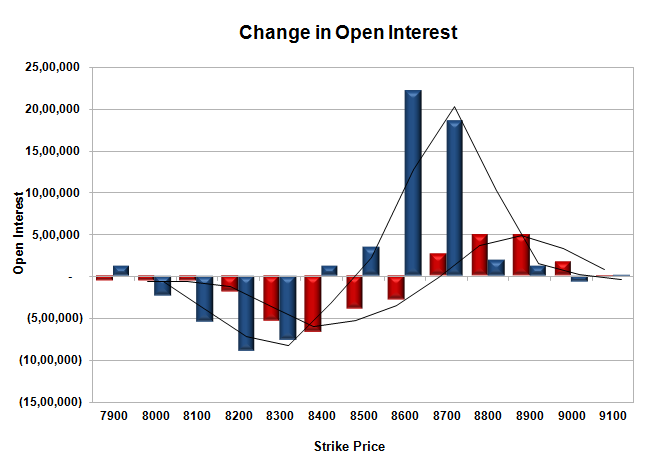 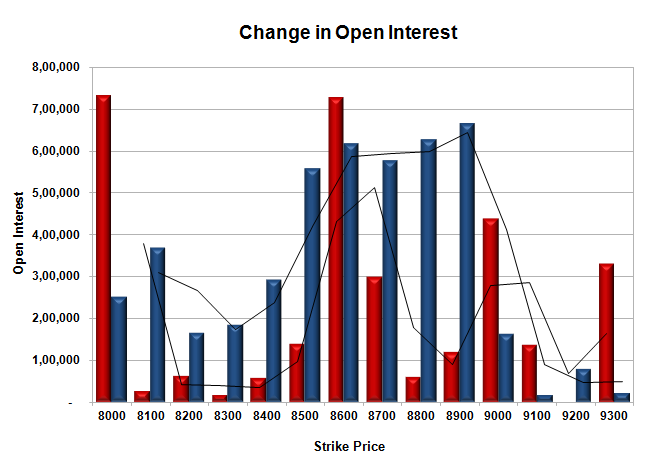 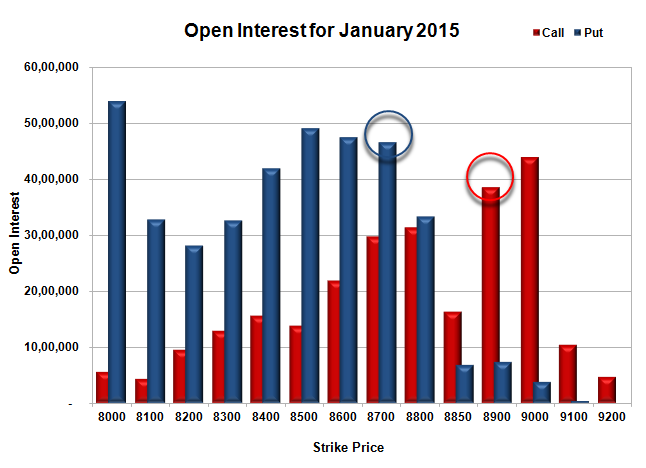 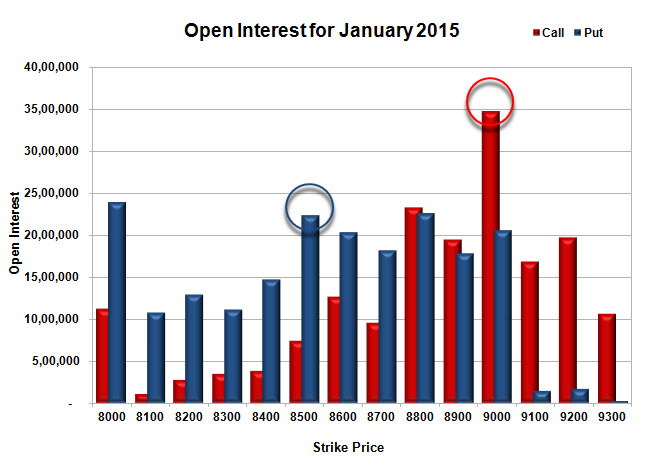 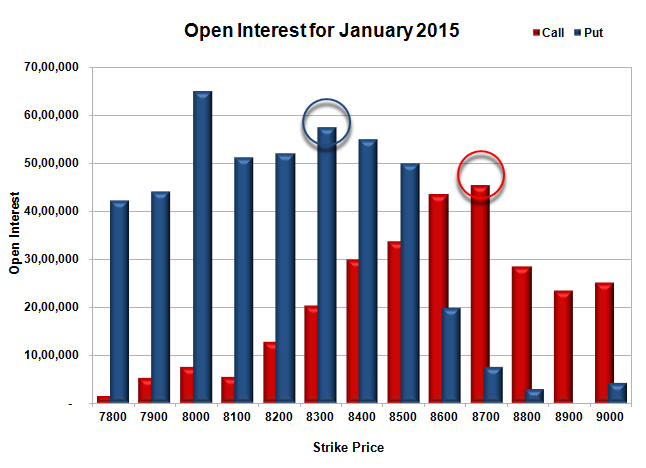 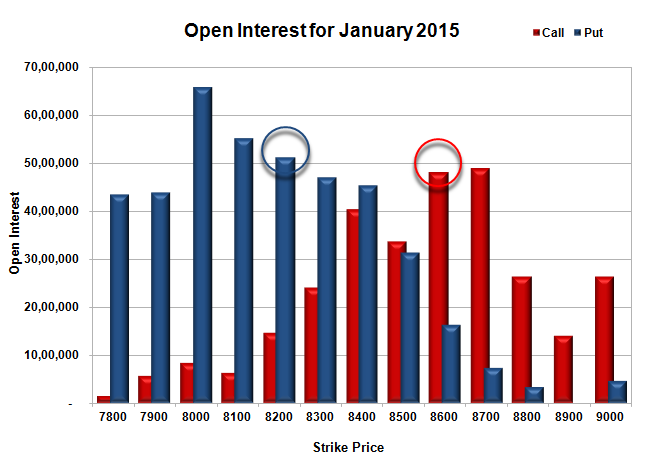 The range as per OI Table comes to 8800-9000 for Expiry. 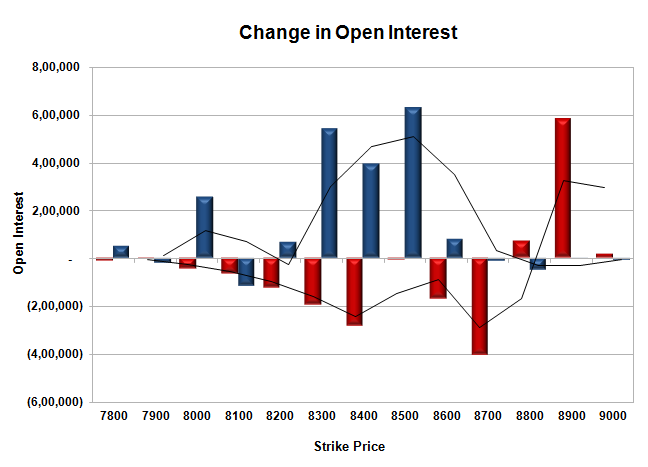 Call option 8950-9100 added huge 21.97 lacs OI with short covering seen at 8800 and lower strike prices. 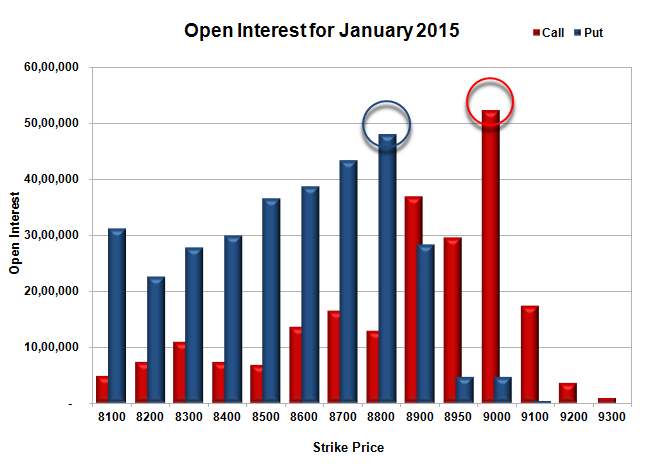 Put option 8950-8800 added huge 14.10 lacs OI with profit booking seen at 8700 and lower strike prices. 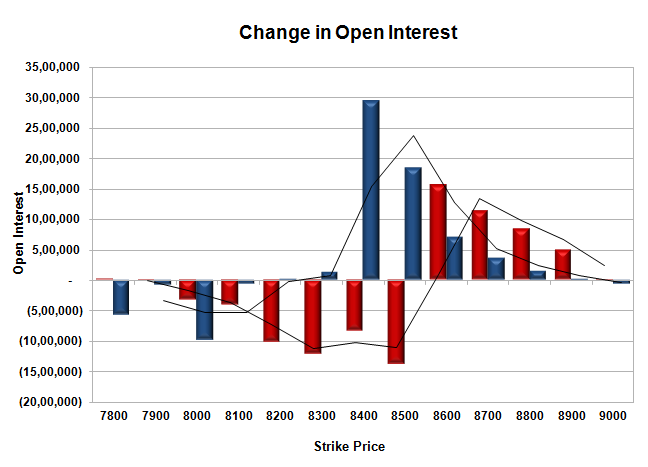 Nifty Open Interest is at 1,07,14,875 down by 53,65,025, whereas Feb series added 84.04 lacs, with no change in price, most probably 100% roll-over with huge short build-up. 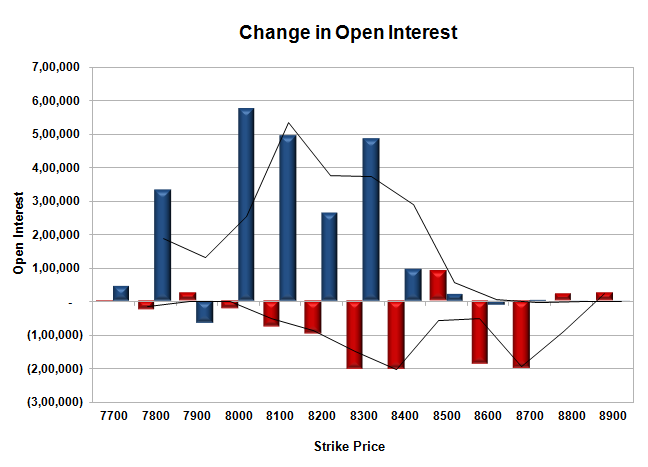 Bank Nifty Open Interest is at 15,80,675 down by 4,15,000, whereas Feb series added 4.33 lacs with decrease in price, most probably 100% roll-over with small short build-up. 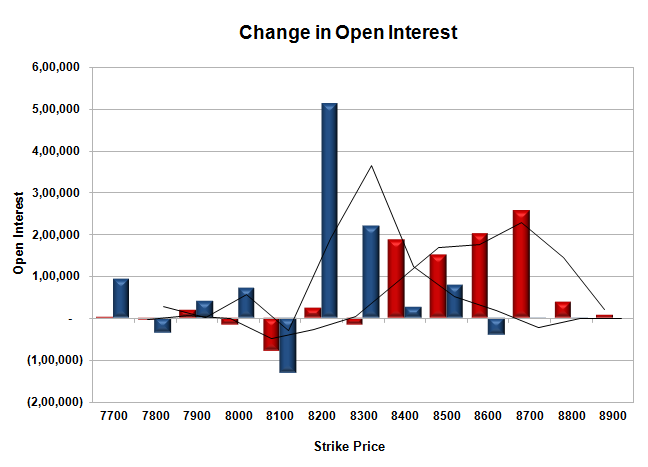 FII’s sold huge 15.28 lacs Futures, which includes 69444 contracts long build-up and 130568 contracts short build-up, with increase in net OI by 200012 contracts (includes 399799 longs to 460923 shorts for the day) and the Average Price comes to 9405.43. 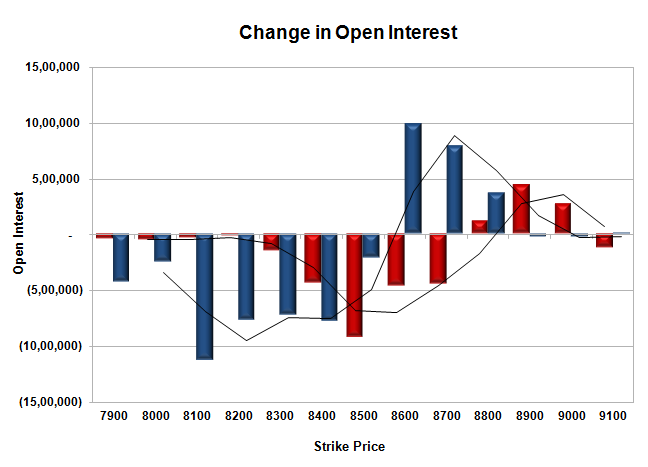 FII’s Index future open contract as on date is 997482 Longs to 265599 Shorts, net long 731883 down by huge 61124 contracts. 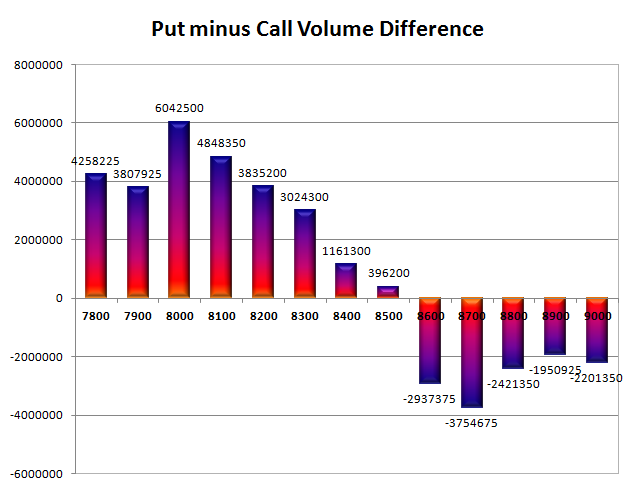 Initial and excellent support at 8800, with huge OI of 47.95 lacs and below that at 8700 with OI of 43.34 lacs. 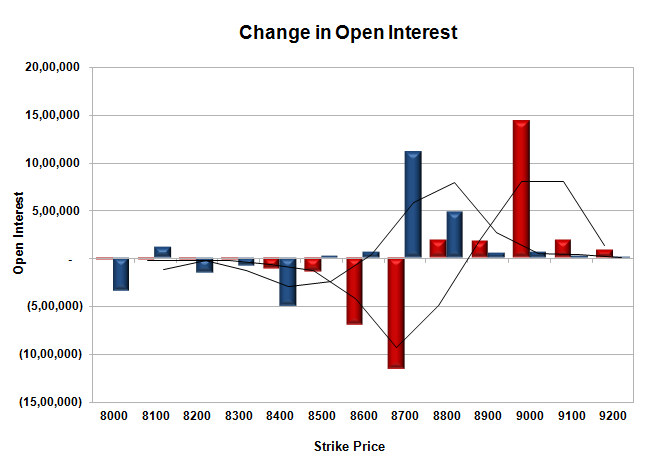 Initial resistance at 8950, with OI of 29.58 lacs and above that at 9000 with highest OI of 52.38 lacs. 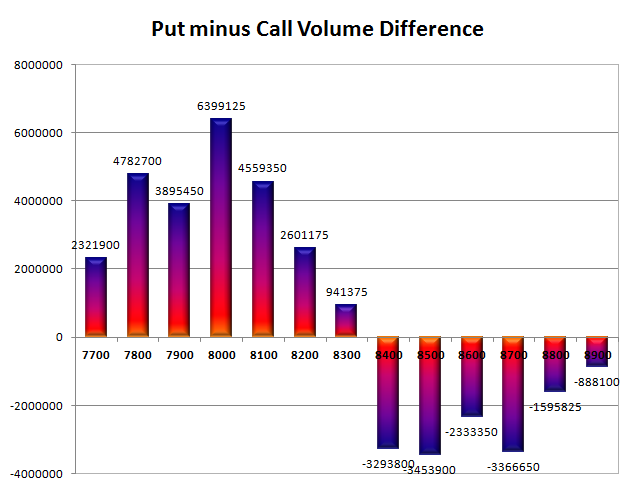 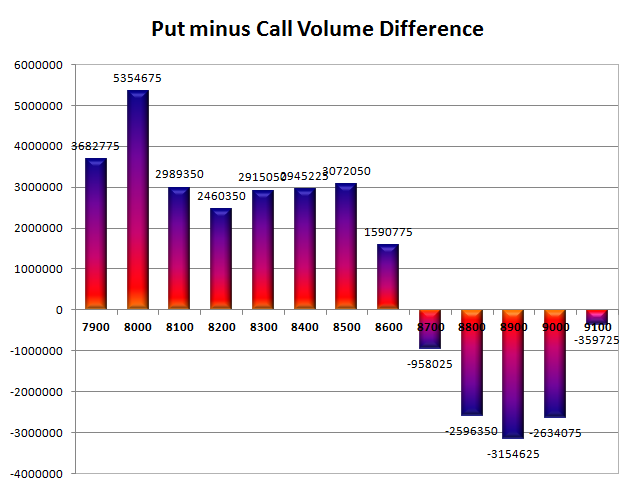 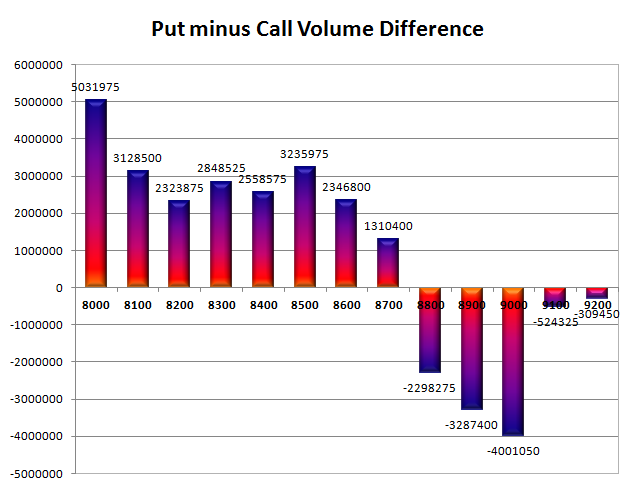 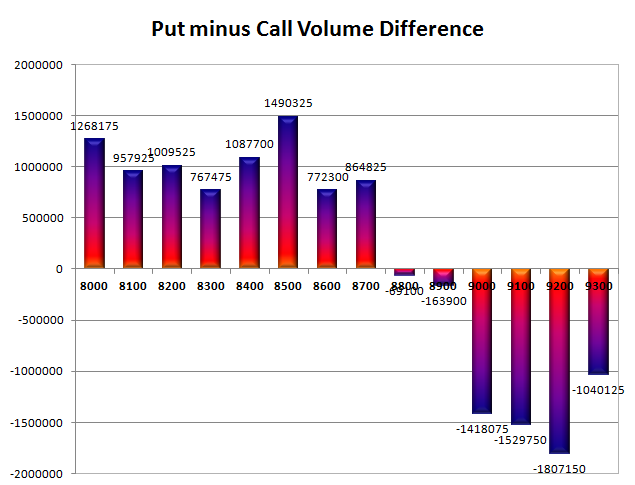 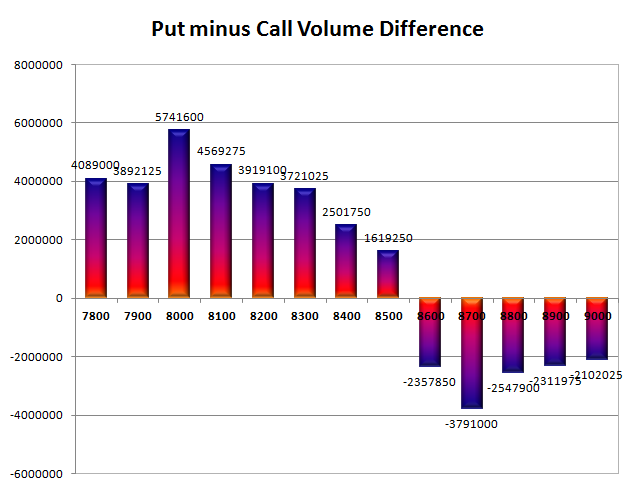 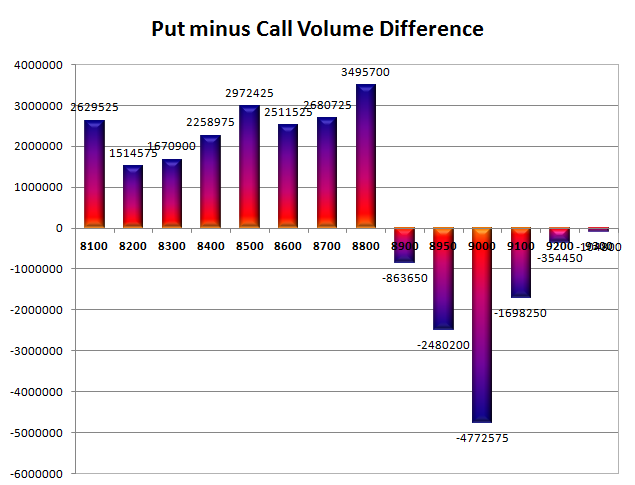 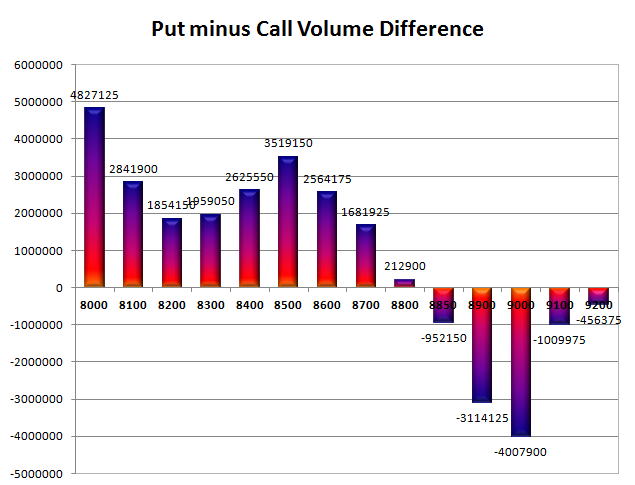 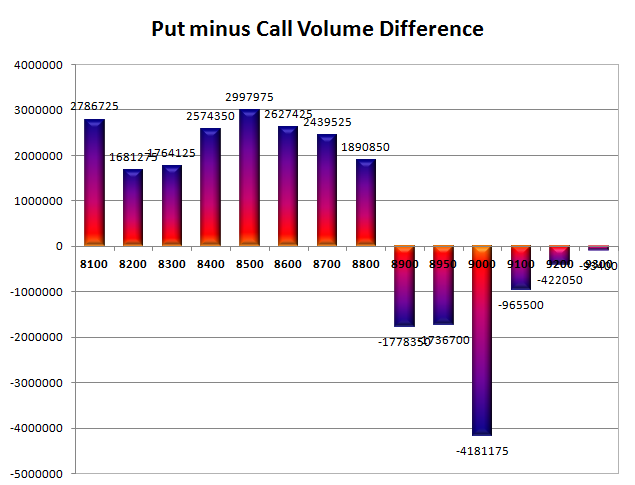 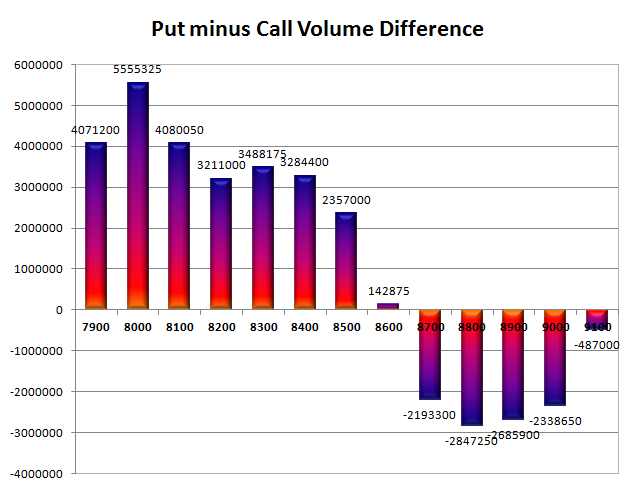 Day Range as per Option Table is 8846 - 8994 and as per VIX is 8822 - 9007 with 8924 as the Pivot.